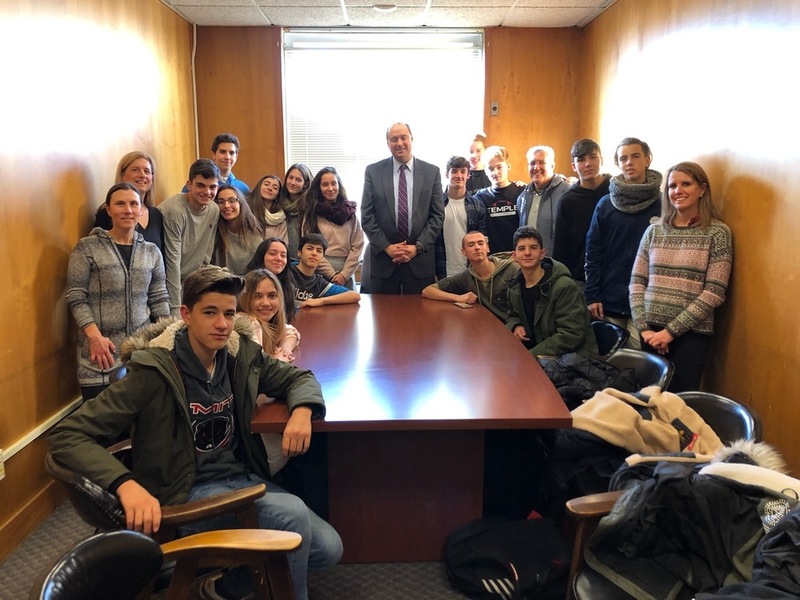 Maynard High School has a sister school exchange program with Instituto De Ensenanza Secundaria "Itaca" in Sevilla Spain. The students from Maynard and their teachers, Jen Adams and Mary Finnegan, are in the picture on the right of Senator Eldridge. The students from Sevilla and their accompanying educators Carolina and José Manuel are on the right side of the picture. We thank Senator Eldridge for the educational experiences for all of our student in our exchange. Students were provided a tour of the State House as well.